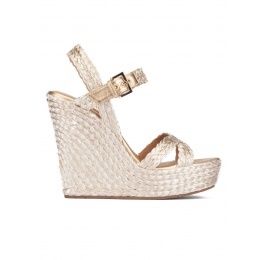 T bar wedge sandal Filipa has become a flagship summer style. This version is crafted from bronze raffia and matching suede, and has an adjustable side buckle closure. Raffia covered wedge measures 12,5 cm approx.